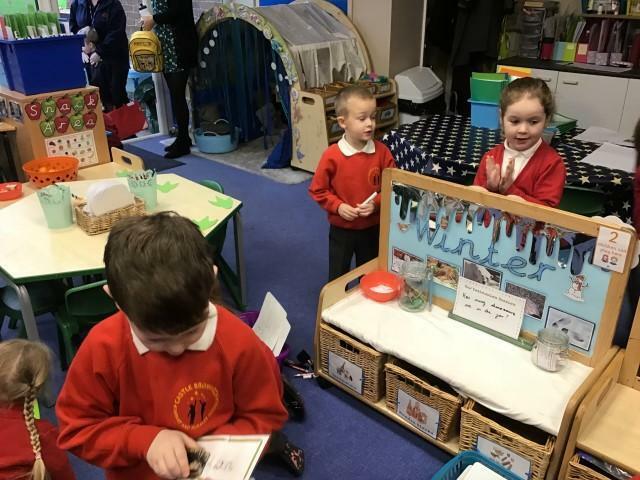 We have had the most amazing book week in Bluebells! 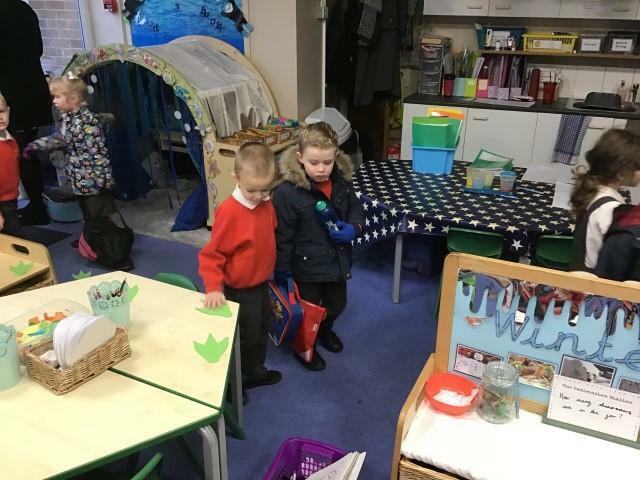 We have loved learning about The Wizard of Oz and when we came into school and found our shed had landed on the witch we were very excited! 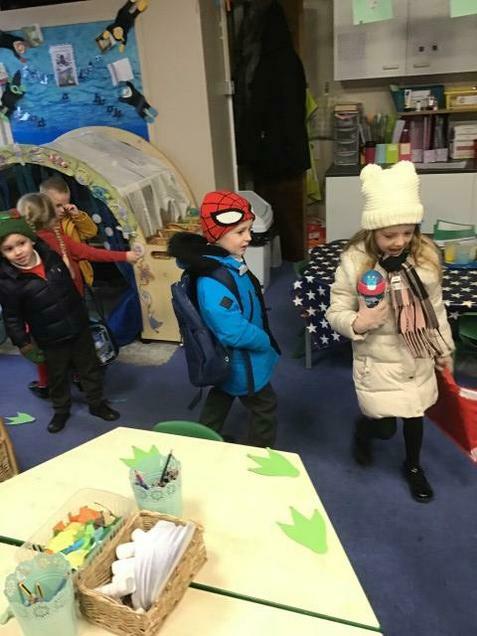 We all dressed up as our favourite book characters and talked about why we liked them so much. 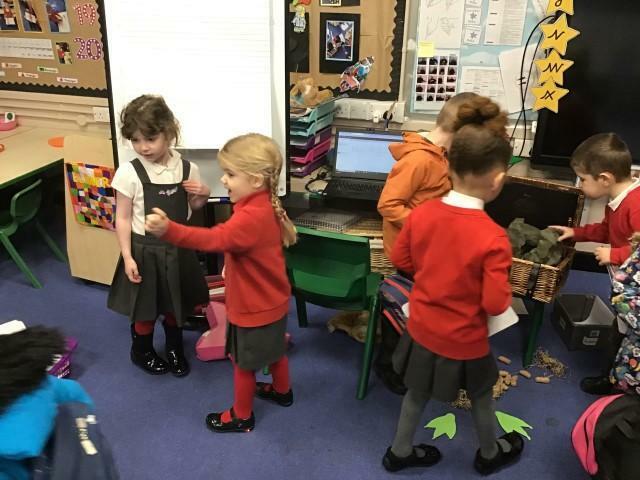 We watched a performance of the Wizard of Oz and even though we were a little bit frightened of the witch we absolutley loved it! 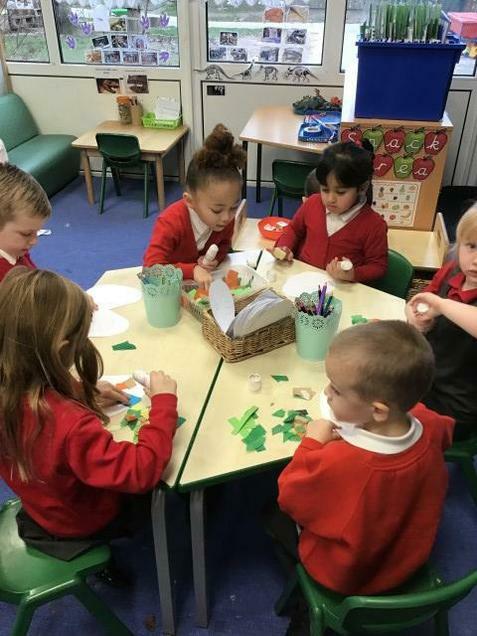 We also worked together as a team to build the Emerald City out of junk! 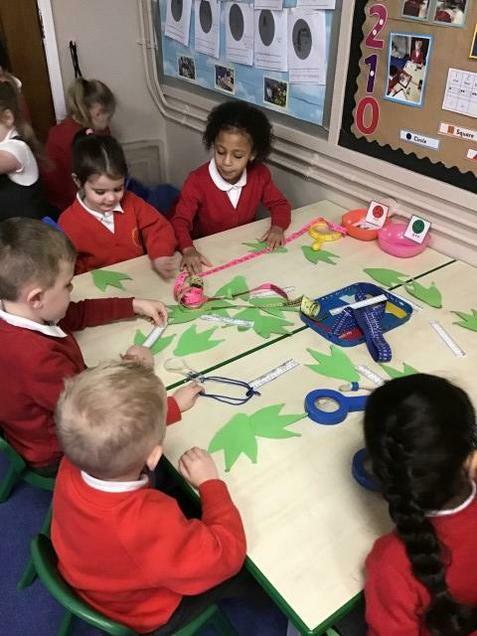 Our topic this half term is dinosaurs! 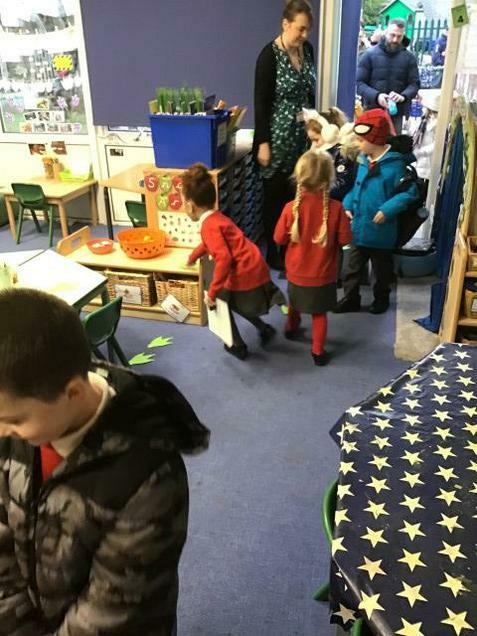 We were very excited to find a giant green egg in our classroom that we looked after for a week. 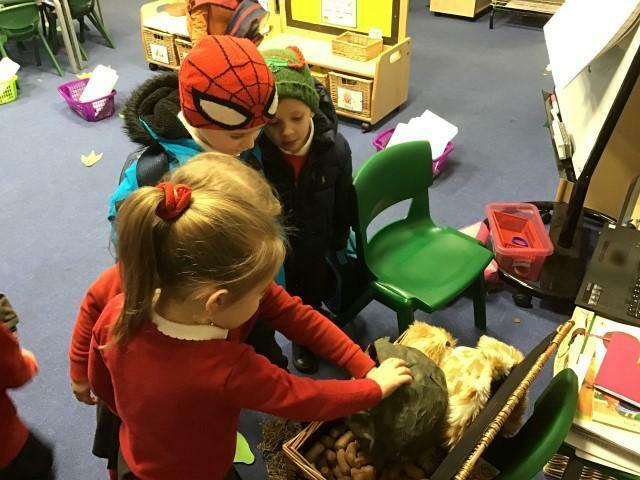 The children thought carefully about what they thought might be inside the egg and to help them we learnt about oviparous animals (animals that lay eggs). 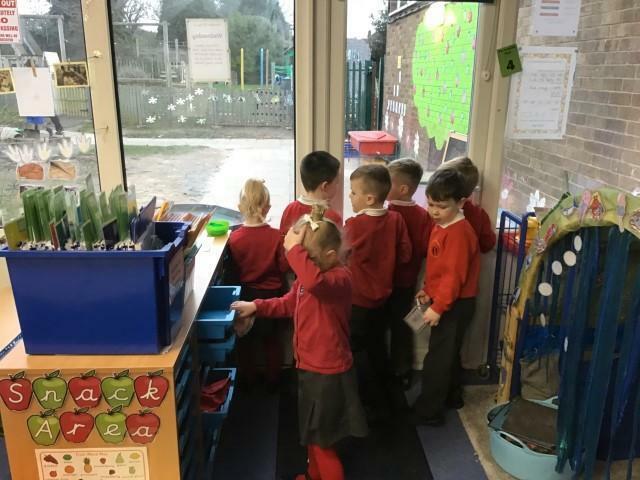 Then overnight our egg hatched and escaped from the classroom! 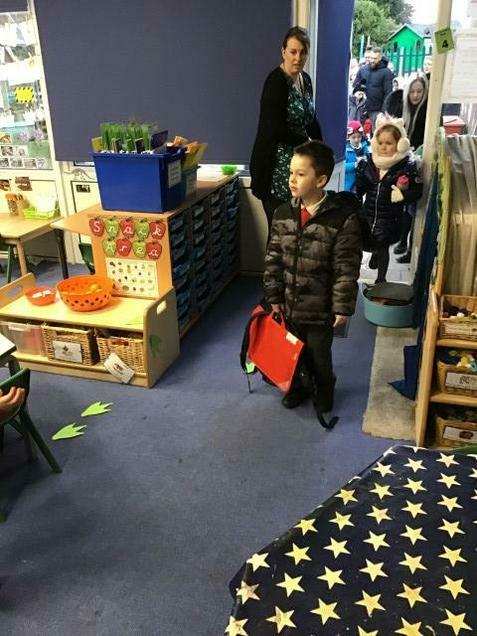 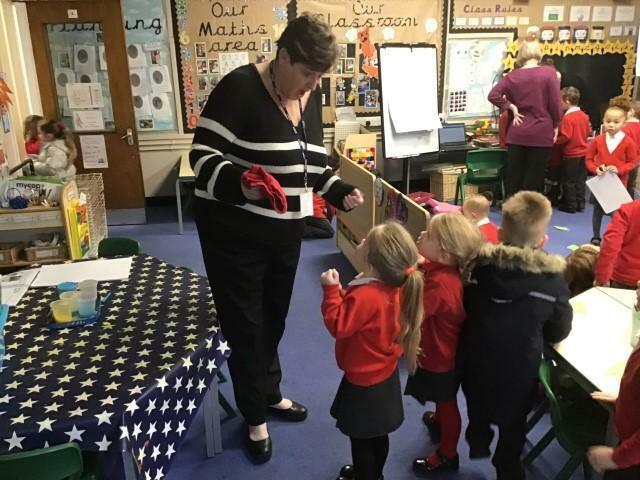 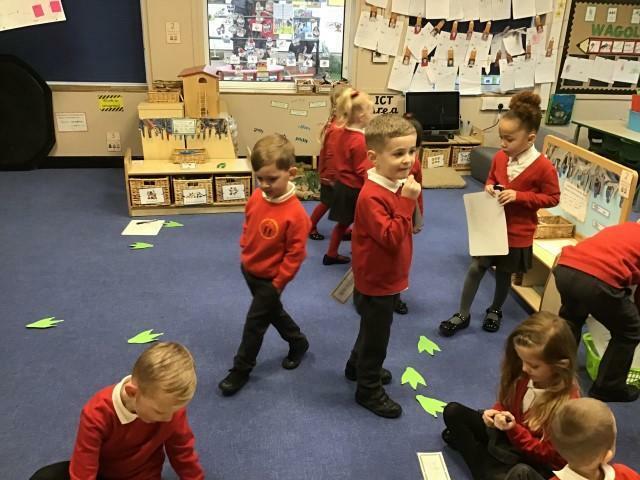 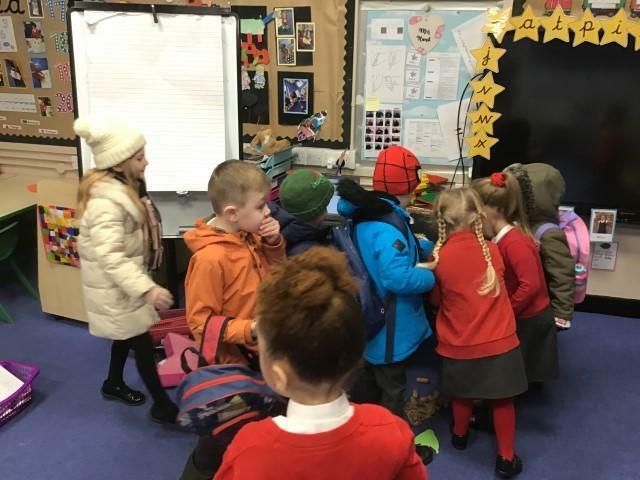 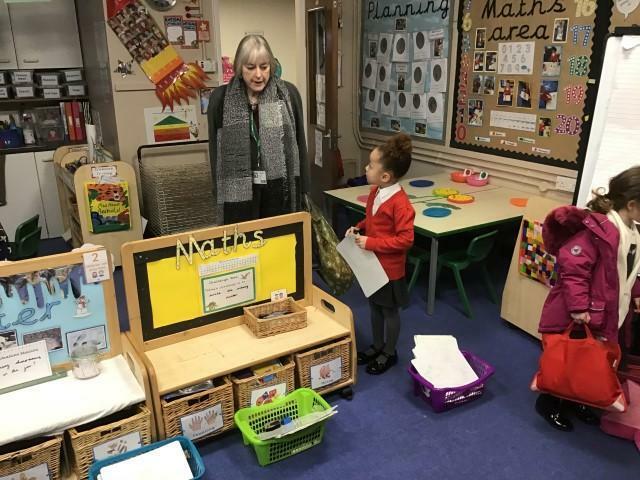 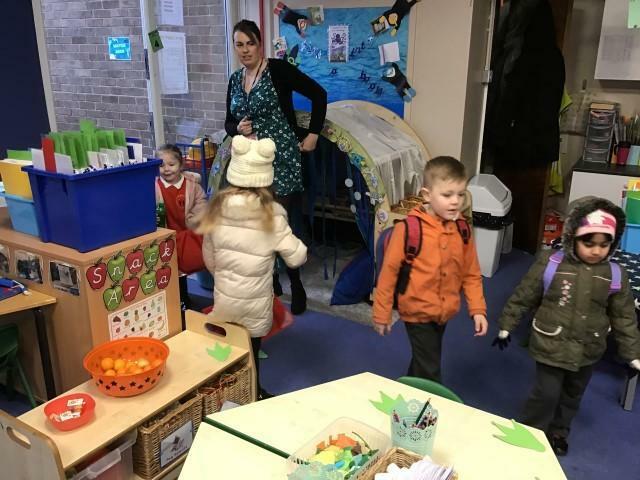 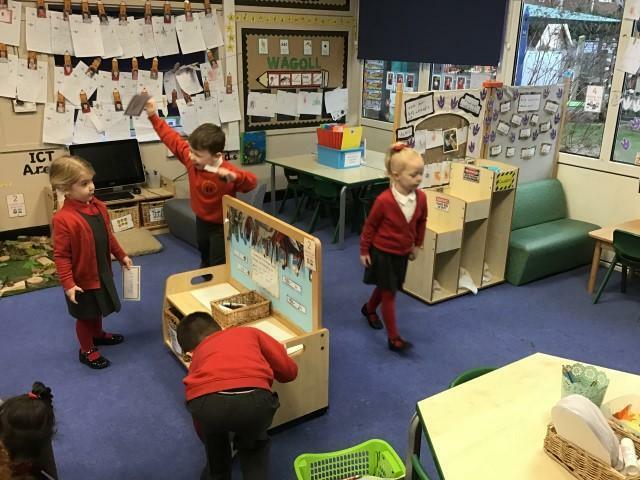 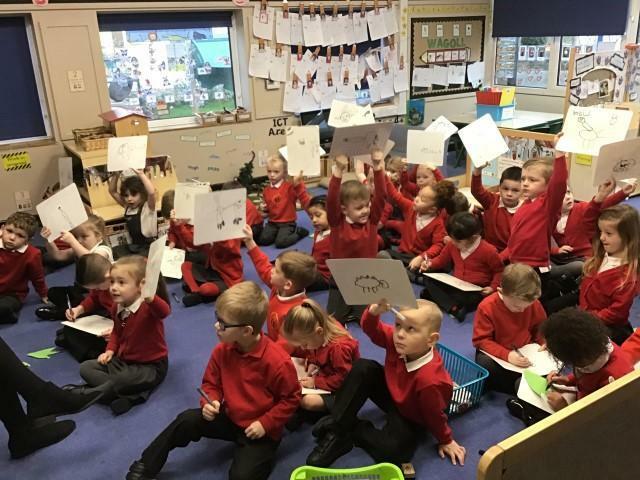 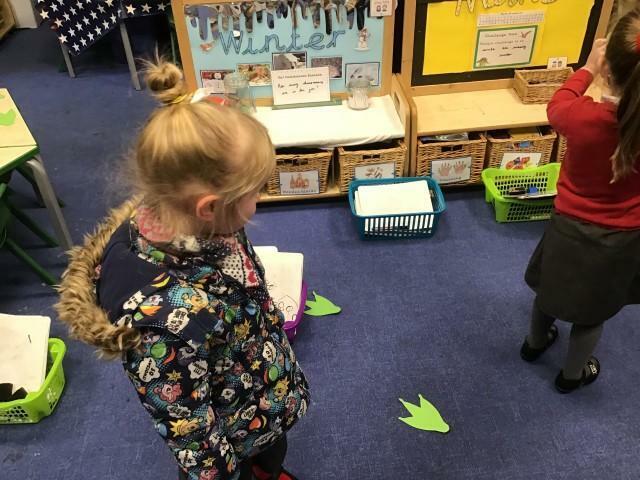 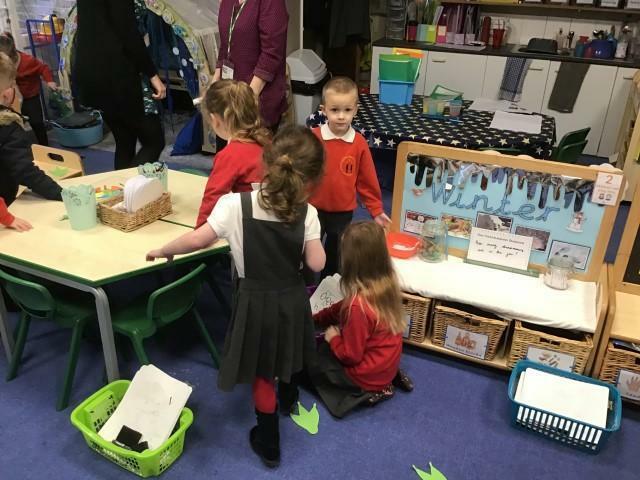 There were lots of footprints in our classroom that led us to believe that it was some sort of dinosaur that is now on the loose in Castle Bromwich! 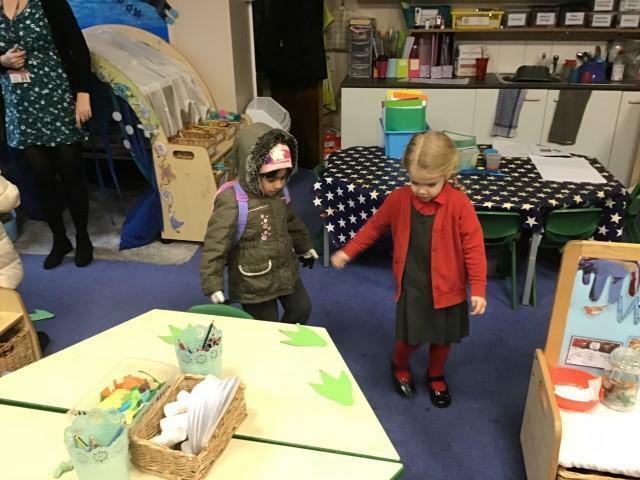 To end our fantastic dinosaur topic we had a visit from Baby Jack the T-rex and Sophie the 7 year old T-rex. 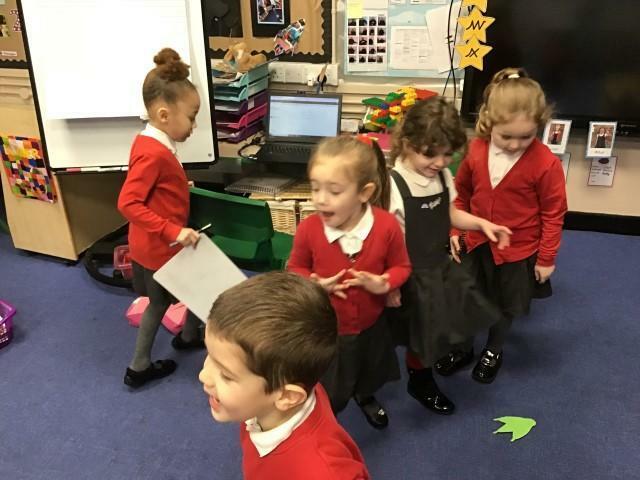 We were so excited and very brave! 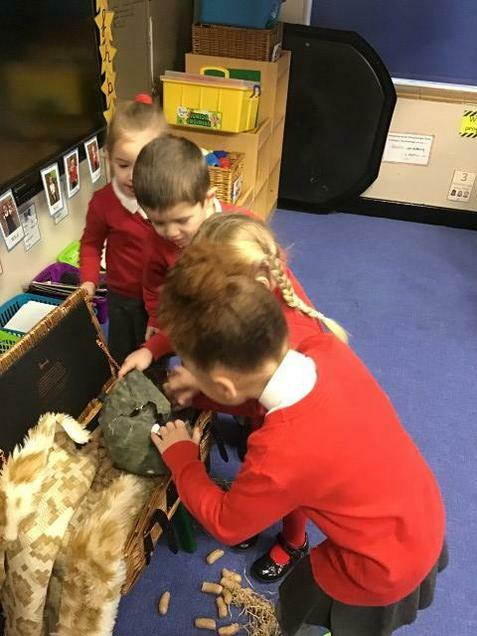 Then we were able to become fossil hunters where we learnt all about fossils and worked with our friends to uncover them.